How Long Do Opiates Stay in Your System? 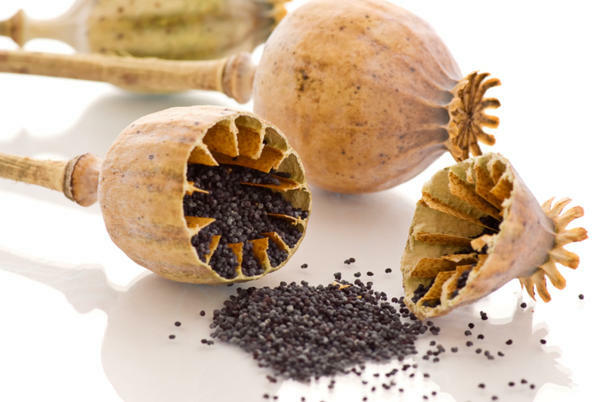 The word "opiates" refers to all the products derived from the Papaver Somniferum plant, commonly known as the opium poppy plant. Natural opiates such as codeine and morphine are derived directly from the plant, while others such as oxycodone and heroin are further derived from natural opiates, and are called synthetic opiates. Some opiates have found great importance in the medical field and are used in drug manufacture, such as oxycodone and hydrocodone. However some like heroin are used for recreational use, but are labelled as contraband due to their potency. Regardless of their type, all these opiates can cause addiction when they are used in big doses over long periods of time; such addiction is extremely difficult to break without special help. Because of their solubility in body fats, these opiates can collect in fatty tissues and gradually get released into the blood. This property also allows them to easily enter the brain. These narcotics are detectable in saliva and blood after use for 6-12 hours; in urine for 2-5 days and in hair for up to 90 days. Actually, how long do opiates stay in your system greatly depends on the type of opiates, frequency and quantity of intake, etc. And the effectiveness of different methods of detection decrease with time. This will be discussed below for five major drugs that will test positive, namely codeine, hydrocodone, heroin, morphine and opium. Hydrocodone is also prescribed for pain relief but can lead to addiction, both physical and psychological. The half-life of a 10 mg dose is around 3.8 hours. A person can display withdrawal around 6-12 hours after the last dose. Its detection time depends on the test employed. Morphine is used in the medical industry for pain relief, and is available in the form of solutions, injections, tablets and suppositories. The time taken to reach peak levels and its half-life depend upon the method of injection. A lot of the morphine is excreted by the body within 24 hours but some tests can detect the remaining traces of it. The different detectable durations for each test are as given. What Affects Opiates Detection Time? There are many factors that will affect how long do opiates stay in your system and the drug detection time, thereby providing effective means to reduce the detection time. Rate of metabolism: A body with a quicker metabolism will process and excrete the drugs faster, than one with slower metabolism. General health of the body: The health of the human body can affect the rate of metabolism. If the body is in good health, metabolism is faster and the drug is excreted quicker. Age: The metabolism of a person slows down as they age and thus it is more likely that the drug will remain for longer periods in older people. Body size: As opiates are fat soluble, they will remain longer in bodies with more fat and is slowly released over long periods of time. The body's metabolism also slows down with increases in body mass. Frequency and quantity of intake: Regular intake with large quantities will leave more traces than rarer intake with smaller amounts. It will also be easier to detect over long periods of time. The only way to rid the body of opiates is by pushing it out; hence the time taken to excrete the drugs is the only factor that determines how long do opiates stay in your system. Drinking a lot of water will help dilute the urine sample. It is important to start this at least a day before the test, as this can help mask samples of people who have used the drug sparingly. It is not particularly helpful for heavy users. However drinking a lot of water will make urine very clear and this will make an experienced tester suspicious. Having some vitamin B tablets 24 hours before the test can help make the sample yellowish. It is important to drink copious amounts of water and urinate as much as possible before the test as this will push out the drug. Diuretics can initiate urination and examples of these are tea, coffee and cranberry juice. As most of the body's metabolism is done while sleeping, the first urine of the day will have greater quantities of the opiate. So, when testing, the first few millilitres of urine are most likely to test positive. Exercise can boost the functioning of the body, thereby enabling quicker metabolism, which will in turn process and eliminate all traces of opiates from the body faster. Regular aerobic exercise two times a day will also use up the fat that would otherwise be used to store the drugs. Does Certo Help You Pass a Drug Test? What Do Drug Tests Test for? Will Cranberry Juice Clean Your System? What Will Happen When You Fail a Drug Test? How Long Do Dabs Stay in Your System? Does Home Depot Drug Test You and When? What Is Rabies Shots for Humans? Why Do People Do Drugs? How Bad Is Chewing Tobacco for You Really?